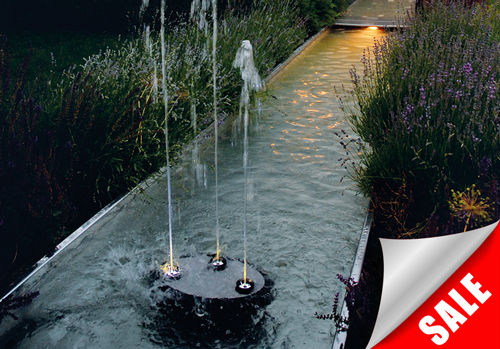 Wide range of water features and fountains at discounted prices. Indoor Water Features, Outdoor and Solar Powered Water Features, Floating Pond Fountains and Self-contained Feature Pools. Promotional discounts and reduced prices to clear stock.